Had the scandal-happy Clintons escaped justice once again? Not so fast, says investigative reporter and bestselling author Ed Klein. There is far more behind Comey's shocking press conference than meets the eye -- and a minefield of email evidence between Hillary and the White House. 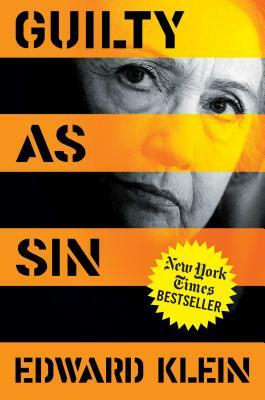 In his astonishing new book, Klein uncovers the real story behind Hillary's email scandals and the dirty political games that have kept her one step ahead of the law - for now. Klein reveals what the FBI's team of 150+ investigators really found on Clinton's server. How Comey originally threatened to resign over White House attempts to intervene in the investigation, and his secret plan to go around the Justice Department if needed. How an unprecedented Congressional investigation during an election year is uncovering new shocking evidence of corruption on a level some would call treason. And what Bill and Hillary still have left in their bag of tricks in their desperate quest to get back into the Oval Office. EDWARD KLEIN is the author of the national bestsellers Blood Feud and The Amateur and of numerous other bestsellers, including All Too Human: The Love Story of Jack and Jackie Kennedy, The Kennedy Curse, and The Truth about Hillary. He is the former editor in chief of the New York Times Magazine and a contributing editor to Vanity Fair. He lives in New York City.